When you have registered to race, please click the relevant link below (after April 2nd) to check the Emperor’s Challenge confirmation list on Stride & Glide’s Website [CLICK ME] to ensure you are registered. What is the Emperor’s Challenge? 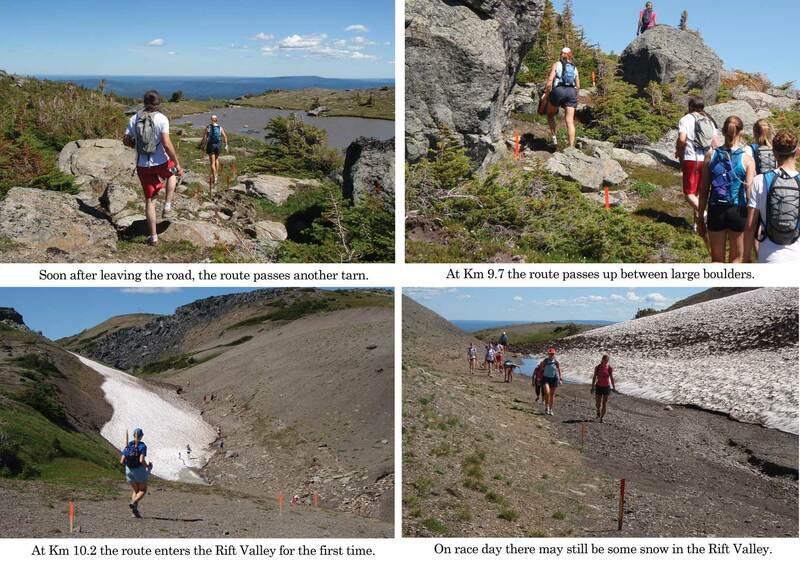 The Emperor’s Challenge is a half marathon on Babcock Mountain, located in the Tumbler Ridge UNESCO Global Geopark. Total distance is 20 km, with the summit at km 11. 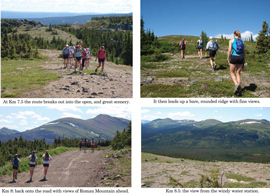 Total elevation gain is 2050 feet (610 m). 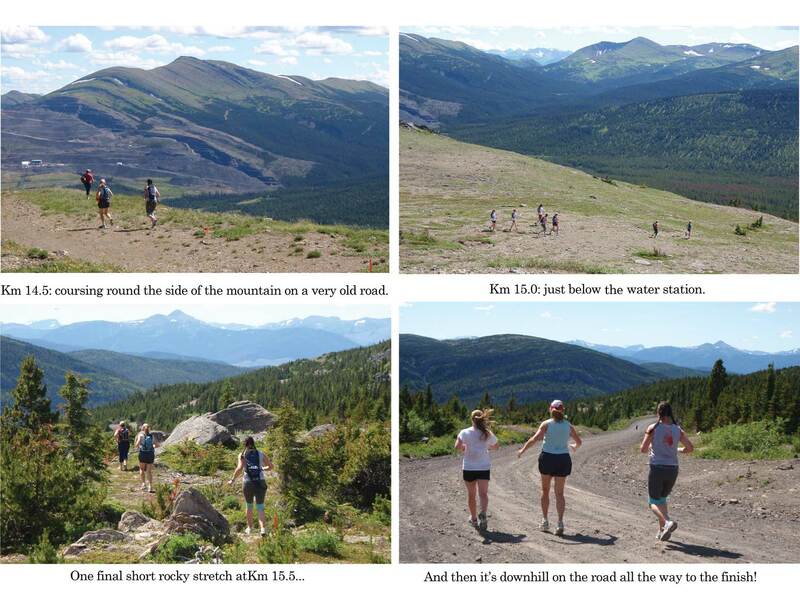 A kids race is also available, with a 2 km and 4 km distances, with some elevation gain (80 ft and 340 ft). 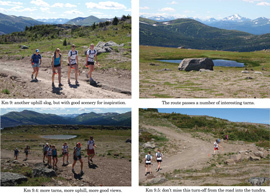 Chip timing will be used, attached to your race bib. Maximum time for the 20 km event is 4:30:00. Anyone caught cheating will be disqualified. Participants must reach the 8.5 km water station by 2:15:00 (11:15 AM). 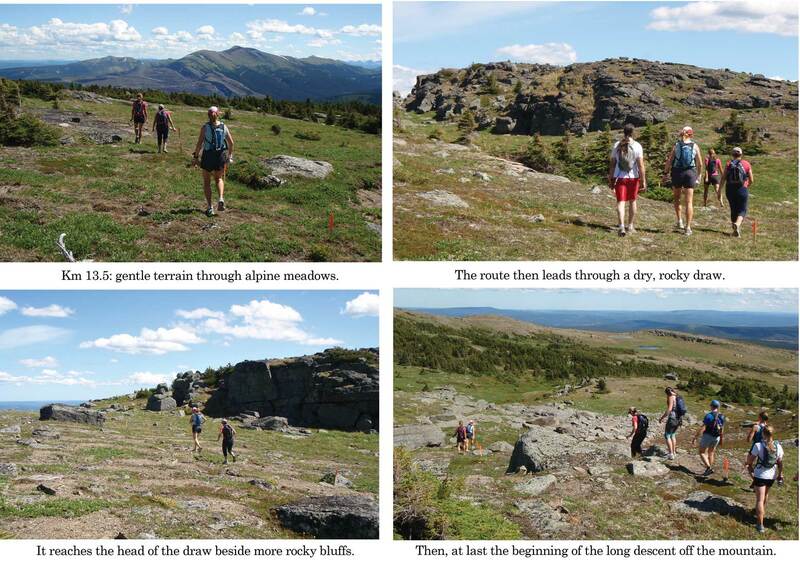 Any participant arriving here after this time will not be allowed to complete the top loop, and must head back down the continuation of the bottom loop. 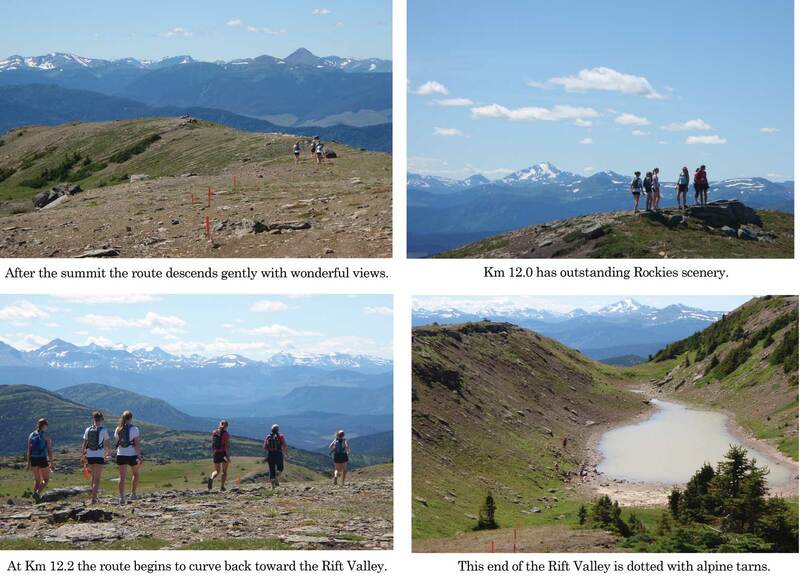 Those arriving at the 14 km water station after 1:00 PM will be required to withdraw from the race and be given a ride off the mountain. All adults who finish within the 4:30:00 time limit will receive a finisher’s medal as they cross the finish line. Gold finisher’s medal is for times sub 1:59:59, silver is for 2:00:00 to 2:59:59, and bronze is for 3:00:00 to 4:30:00. No finisher medals will be provided to participants that finish after the 4:30:00 time limit. Special medals and awards will be presented onsite promptly after the races have finished. The 20 km race is capped at 1,000 participants. No dogs are allowed on the course during the race. Please pack out your garbage or put it in the garbage cans provided at the water stations. In the event of extremely poor weather conditions on race day, organizers reserve the right to alter the race. The Tumbler Ridge swimming pool (with hot tub, steam room and sauna) will remain open until 5 PM on race day. 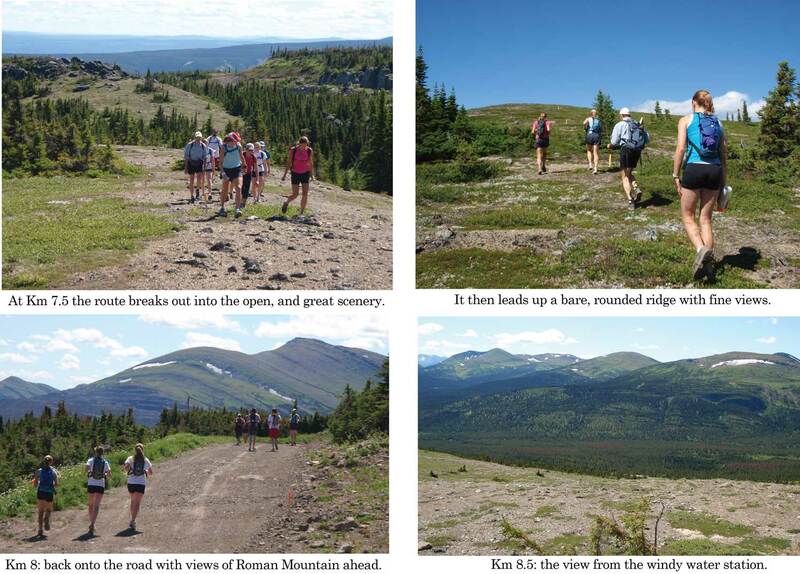 The race start is at the Core Lodge site, a 45 minute drive south east from Tumbler Ridge on the Core Lodge Road. 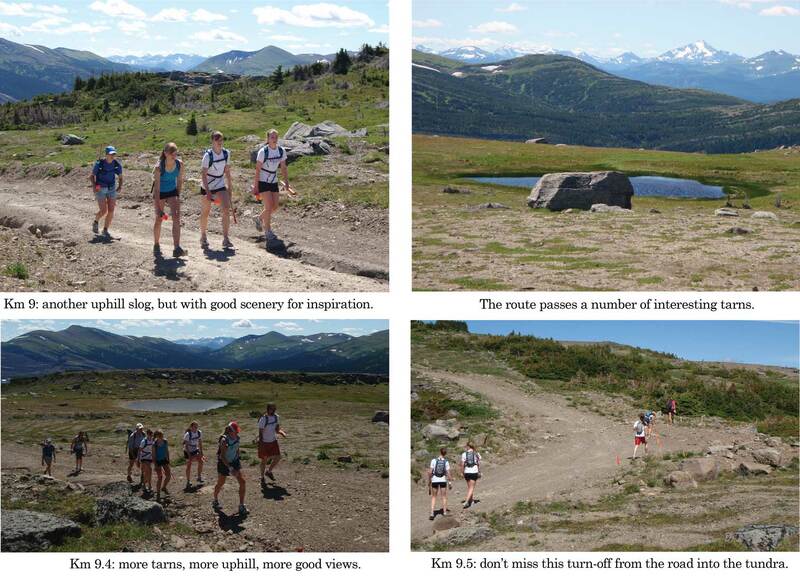 The elevation of the race start is over 4000 feet, with the summit at over 6100 feet, so bring appropriate clothing for mountain weather. 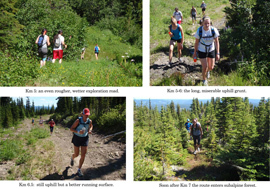 Any items dropped off at aid stations during the race will be brought to the finish line after 1:30 pm, or dropped at the Tumbler Ridge Visitor Information Centre within 2 days. It is not recommended to leave any clothing items before reaching the summit, as this is always the coldest and windiest part of the course. Do not leave any valuable items on the race course. 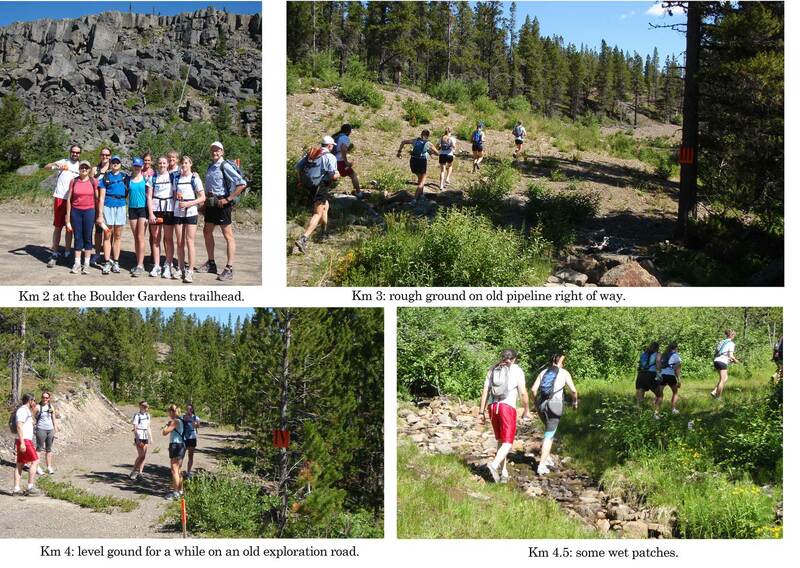 There are three water/first aid stations on the course, at km 2/18, km 8.5/14, and km 10.5. The entire course is well marked with wooden stakes painted orange, and each kilometer is marked in roman numerals. There are hot dogs, hamburgers, veggie dogs, veggie burgers, cookies and juice available, as well as coffee and hot chocolate at the start/finish area, all donations to the local Lions are appreciated. 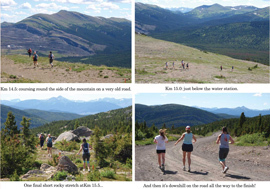 This is for racers and volunteers only – spectators must bring their own food. This food will be available after you have finished your race. 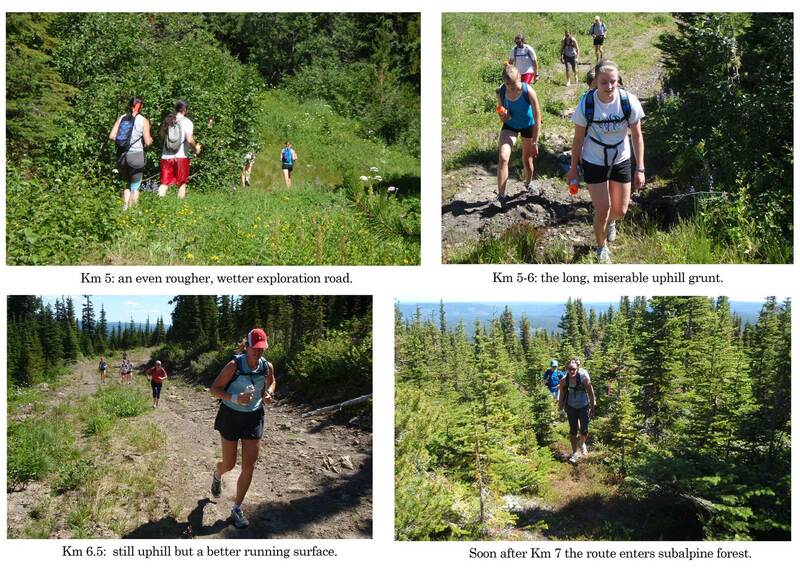 Tumbler Ridge’s Massage Therapist Yvonne Poulin has prepared a Self Massage Guide for our racers. Tents, Trailers, and RVs welcome! Tumbler Ridge has some amazing camping – and the 2 campsites on the map below are mere minutes from downtown. The Lions Campground (SW of town) will be accepting reservations as of April 15. Phone 250-242-1197 to reserve. We have a large RV Park north of town, and 8 RV sites at the golf course as well. 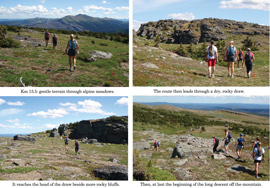 In 2009 the course was run on Babcock Mountain for the first time. 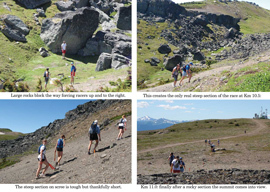 In 2010 and 2011 improvements were made to the route, making for less travel on exploration roads and more challenging single track trail through impressive scenery and meadows, valleys and beside bizarre rock formations . 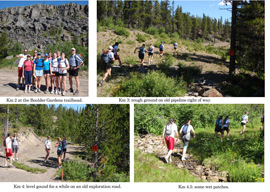 The route now leaves the exploration road at km 6.5 and stays in the wilderness until it crosses the road at the water station at km 8.5. It then heads up a gully. 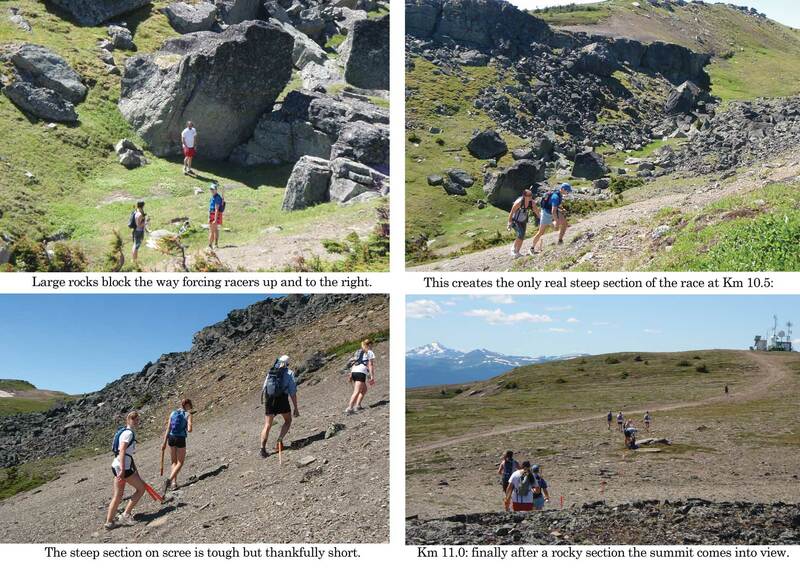 There are about 300 metres of two-way traffic here – downhill runners follow the same route. 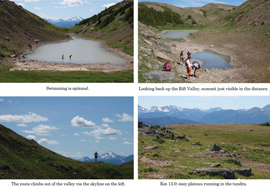 The water station is therefore used twice (at km 8.5 and km 14). When proceeding uphill along this two-way stretch, please keep right, and give right of way to the faster downhill participants. 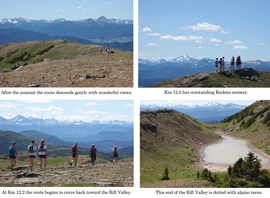 For 2013, the route has been improved between the km XII and km XIII (km 12 and km 13). 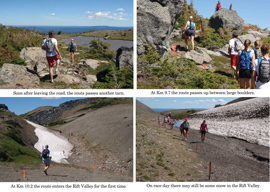 The old route crossed a high plateau; the new route veers closer to the edge of the mountain, making for more technical running and providing outstanding views. These route improvements do not affect total distance (still 20 kms) or elevation change. Click here for map PDF.